Data recovery processes are typically take much time. With the Notifications feature of ReclaiMe, you can work more efficiently. First, you need to specify an email address to which you want to get notifications and request a test email message to be sent to you. Next, you can specify which events you want to get notifications about. 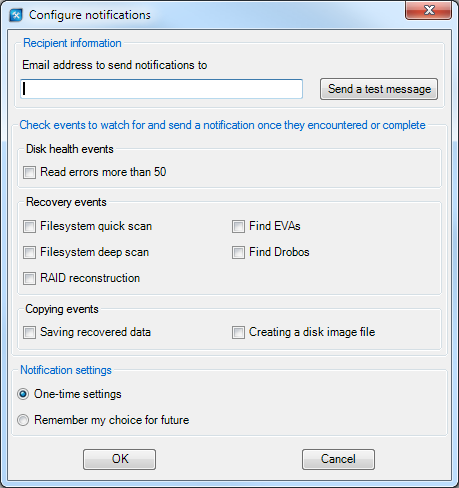 Once the event in question occurs, for example quick filesystem scan completes, ReclaiMe Pro sends you a email. If you need some specific event, which is not listed, contact our support team for this.